Micromax the number one leading smart phone in India. Comes up again in the market with its awesome and marvelous features. The launch of all new Micromax Canvas Sliver, 5 gives an attractive and incredible look to the customers. Micromax always launches smartphones, which are in customer's budget and which comes up with great and exotic features. The new Canvas Sliver, 5 is the slimmest smart phone ever. It comes up with a super brilliant AMOLED display, which has an ‘On cell’ touch responsive technology. Micromax Canvas Sliver, 5 comes up with a powerful quad-core processor, which gives an another plus point to this phone. The new Canvas Sliver, 5 comes up with a 4.8 inch multi-touch Super AMOLED capacitive display. It is fully covered with 12.19 cm Corning Gorilla Glass 3 which provides a great protection to the smart phone. Micromax Canvas Sliver, 5 has a perfect size of display to watch and play high end quality games and videos. It also has a 1280x720P resolution with a 8M:1 contrast ratio and with a 306 pip density. With a super thin 5.1mm body of Canvas Sliver, 5 makes it perfectly fit in our hand. It makes it quite easy and comfortable to use and carry. Micromax Canvas Sliver, 5 is a strong and a Durable smart phone. It weighs only 97 grams. Which makes it first 4G LTE phone below 100gms. It is the lightest 4G device ever. The Corning Gorilla Glass 3 of the Micromax Canvas Sliver, 5 makes it 42.8% slimmer than any other ordinary glass. With the ‘On cell’ touch responsive technology, it saves 30% more extra power than others and gives a slimmer look to smart phone. The Micromax Silver 5 has everything what we need in a smart phone. Has a 16 GB of inbuilt memory with no attachable card slot. 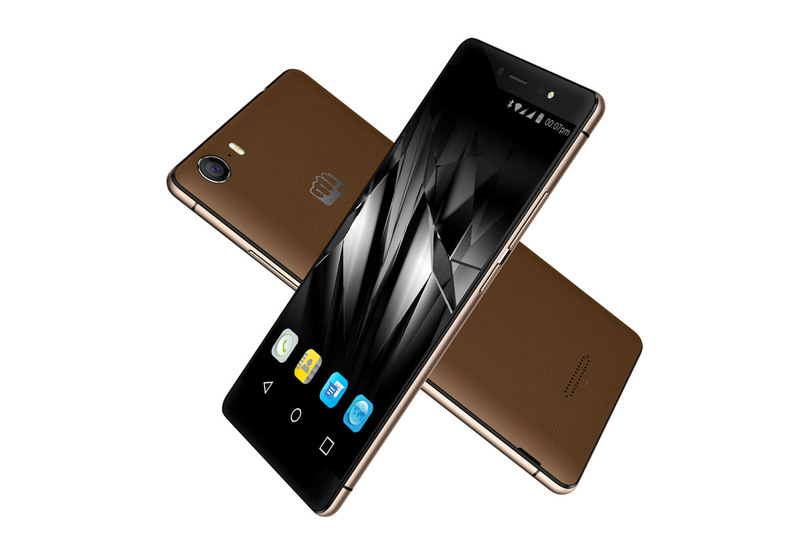 Micromax Canvas Sliver, 5 has 5.0.2 Android Lollipop operating system which supports all apps and softwares. It has many of preloaded apps which will keep you always entertained like Housing, Hotstar, App Center, Quikr, Snapdeal, Clean master, Scandid, NewsHunt, Chats and Swiftkey. Here is why Micromax becomes number one leading smart phone and make a huge success in recent years. With an affordable price and awesome features Micromax Canvas Sliver, 5 comes up with a great, 8MP Sony AF Rear Camera with high quality flashlight which is stacked with Sony CMOS IMX219 sensor which results in lower power consumption. It has a 5MP front-facing camera which is best for selfish lover and to make video calls. It has a high-definition recording system of 1080p@30fps which gives users a better experience than any other smart phone. Micromax Canvas Sliver, 5 has a 75.6 degrees Wide Angle Lens which enables you to capture wider than others. It also has 4P Largan Lens and Blue Glass Fitter which increases the quality and clarity of the camera more and more. So with the high-end features of the brilliant Camera you can easily upload and can share your pics with a one click to any social networking sites. Now forget about buffering burden and live your life more fast with the 4G LTE connectivity. The 2G,3G and 4G connectivity offers you to stream high quality videos and play online games without any logging. With the single nano SIM of Micromax Canvas Sliver, 5 you can get a fast access to the network. It has inbuilt Bluetooth version 4.0 which enables you to share your data faster than others. Micromax Canvas has also a powerful Wi-Fi 802.11 which enables you to smooth running of data and it also helps you to create a hotspot and to share your connection with others devices too. It also comes with A-GPS technology, which can easily access your location and also shows you other routes and ways where you want to go. It has a MicroUSB v2. 0 which enables you to faster transfer of data to your PC or laptop. This is really an eye-catching product in the market. It is a perfect deal for buyers. With the perfect combination of hardware and softwares, it fulfills all the desires and demands of the customers. It has all of qualities what we need in a smart phone like it comes up with the latest Android OS, it is reasonable in price, it has a high camera quality which enables you to record in 1080p, it supports almost every sensor like Accelerometer and proximity sensor, the design and build quality of the phone is incredible, it has 2 GB of ram and 16 GB of built-in memory, has a faster 4G connectivity and it is the lightest and slimmest phone ever. But as we know every phone has some positive and some negative points likewise Micromax Canvas Sliver, 5 lacks in some of the features like no external card supported, only one SIM card slot, it is available in only in one white color, battery backup is not so much good and Corning Gorilla Glass 3 is not of that quality provided by other smartphones like Motorola. But the overall performance of the phone is awesome. Compared to price it has more advanced features than other smartphones. It has a good build up quality. So if you want to enjoy all these features, then go and buy it from your nearest store.